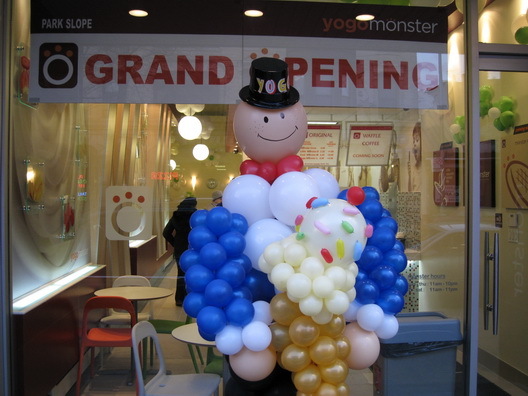 Yogo Monster, the new very Oko-Pinkberyesque frozen yogurt place on Seventh Avenue in Park Slope opened on Saturday. We stopped in late yesterday afternoon to take a few photos and sample the goods. It wasn't the most enticing evening for frozen yogurt, but give it a few weeks, and Yogo Monster will look like a very refreshing spot. 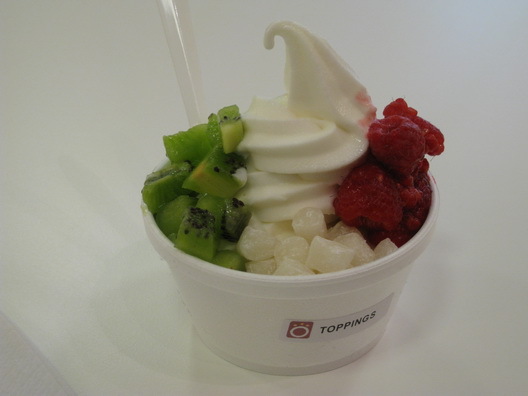 We had a small "original" flavor with kiwi, raspberry and rice cakes (foregoing the fourth topping). We enjoy Pinkberry's pomegranate topping, but the rice cakes as Yogo Monster work for us. Stop using the royal "we". you sound queer 2 me, anonymous. Cheaper than Oko, but your spoon's not somehow made of corn and your cup's made of styrofoam. toss-up on taste. You decide.